Post subject: Re: Brave and the Bold new figures, when??? Kind of confused we saw nothing relating to this at Toy Fair. Yeah,I'm curious to know what this is from. Was hoping for something about it at Toy Fair even just a little bit of information. Maybe we'll get some kind of info later (I hope). I suspect this may be a store exclusive. They have spent a lot of money to fix the hex holes and the ebay store that is selling them has a few flashes so I think this is not a one off. I'm also hoping we will see shazam in his 52 garb. Looking for Prototype Batman bold brave Gentleman Ghost. 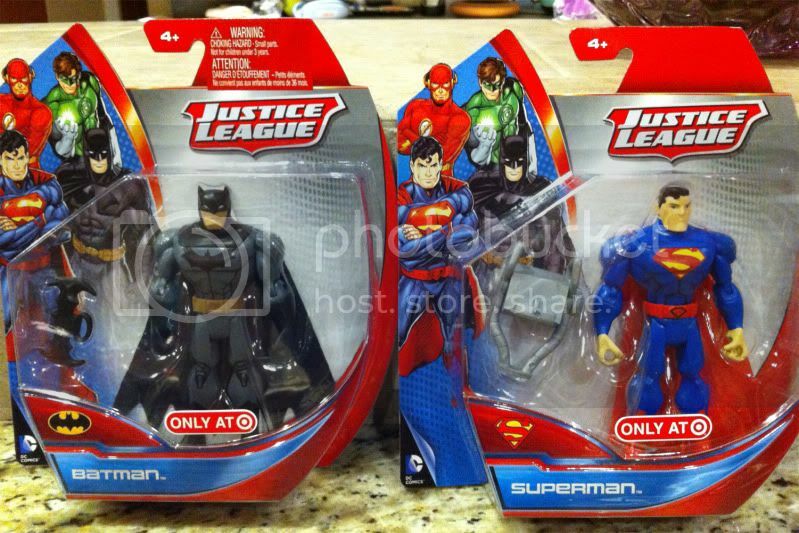 I just saw an "evergreen" Batman three-pack at Target today with Superman, Killer Croc, and Batman. 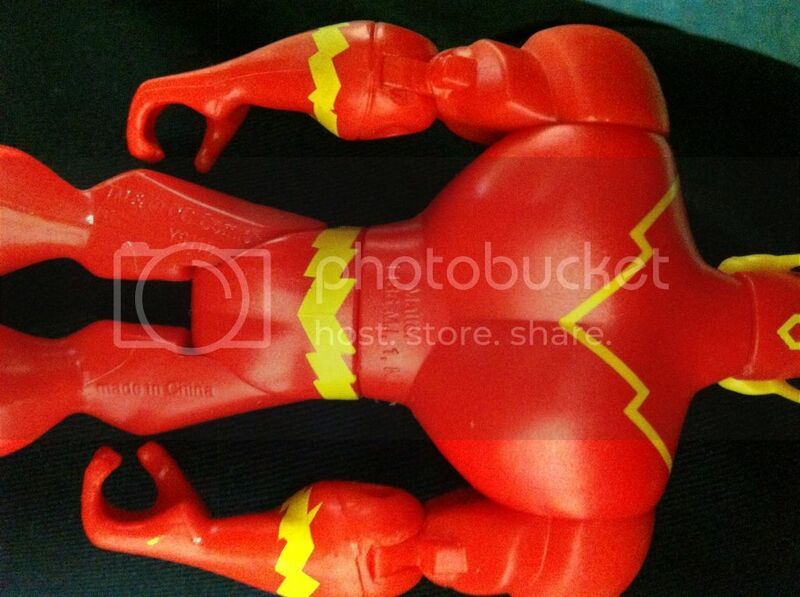 Given The Flash's lack of peg holds in the arms and legs, I'd say this mystery Flash is for the "evergreen" Batman line, and not The Brave and the Bold. The BBB line is long dead. This looks like a re-purposed BBB figure for a different / new line. The real question is, in what line and when will it appear. 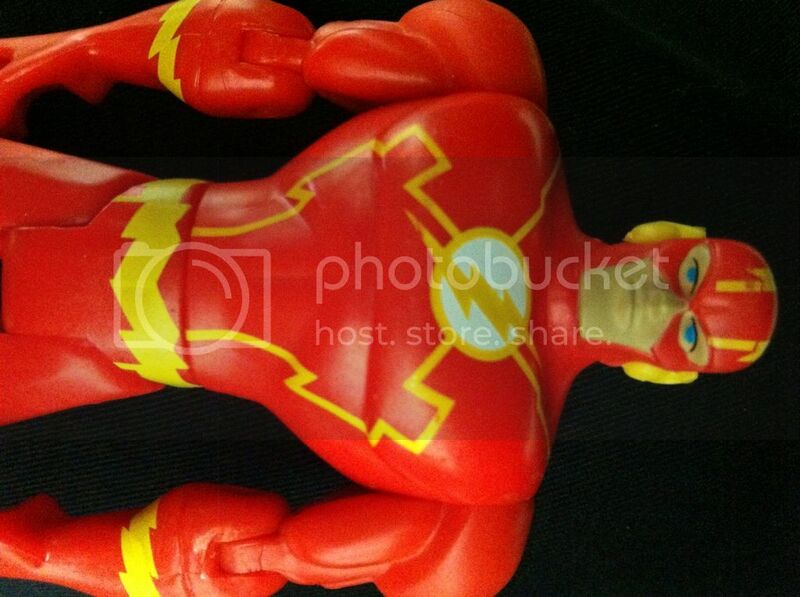 Maybe this New 52 Flash is just a bootleg figure, and is not part of any line. 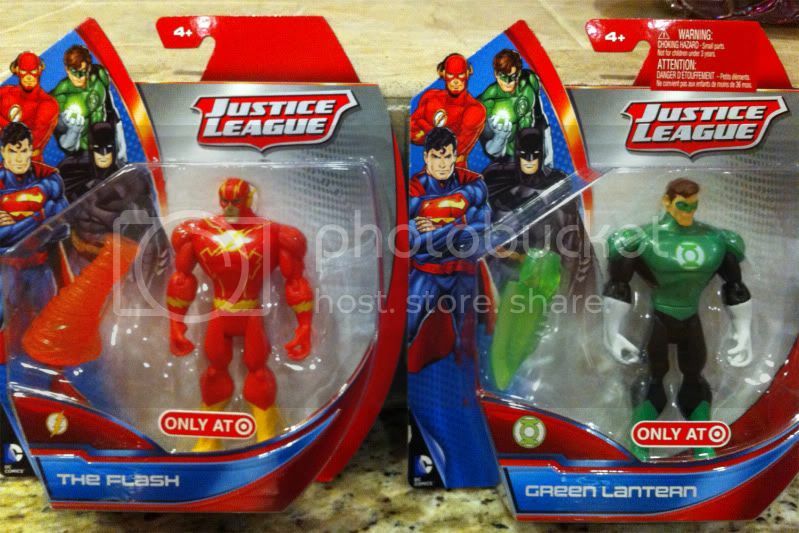 Okay,found out what the Flash figure is from.It's from a JL set,all New 52 designs. Saw it on the Target site tonight. This must be the exclusive Matty Justice League was talking about. Still no Gentleman Ghost,Shazam,Dr. Polaris,or Faceless Hunter . Does have a Green Lantern and Wonder Woman,and a different Aquaman though(and Cyborg if you like him),so that's something,even if WW is a New 52 design. Oh my God... This is my favorite line and words cannot explain how happy I am. Just need those unreleased figures. That's pretty cool. I'm definitely buying it. I do wish it wasn't the 52 designs, but I'll take what I can get. I might buy two so I can turn some into B:B&B designs. Wow! This is awesome news! An absolute must buy for me. Looks great! I'm surprised they actually tooled new bodies for Cyborg and Wonder Woman. I just wish WW would be sold as a single too for customizing into other female characters. If I happen to stumble across the set in store, I'll pick it up. Otherwise, I won't lose too much sleep if I miss it. HEY! New guy! GET HIM! I found these tonight at Target. I almost missed them, but they were set on an endcap. $7.99 each and the back of the card shows a Lex Luthor in the mix, but I didn't see one. DCPI 087-06-1636. These look amazing! And here I thought I was finally done with Mattel. 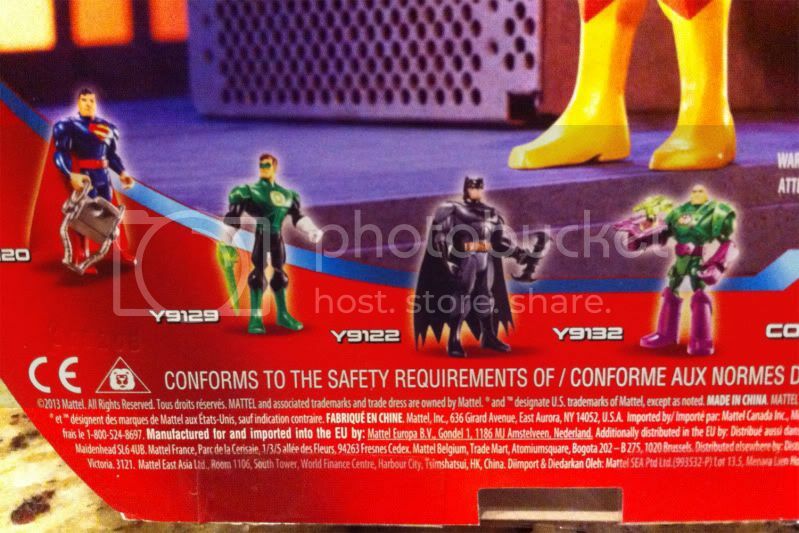 This new "Justice League" line looks to be a great way to get some more characters in the Brave and the Bold style.